Beautiful Snow and a New Garage Door too! We had one of our biggest snows of the season this week, which revealed the true beauty of the foothills we’ll be living in soon! 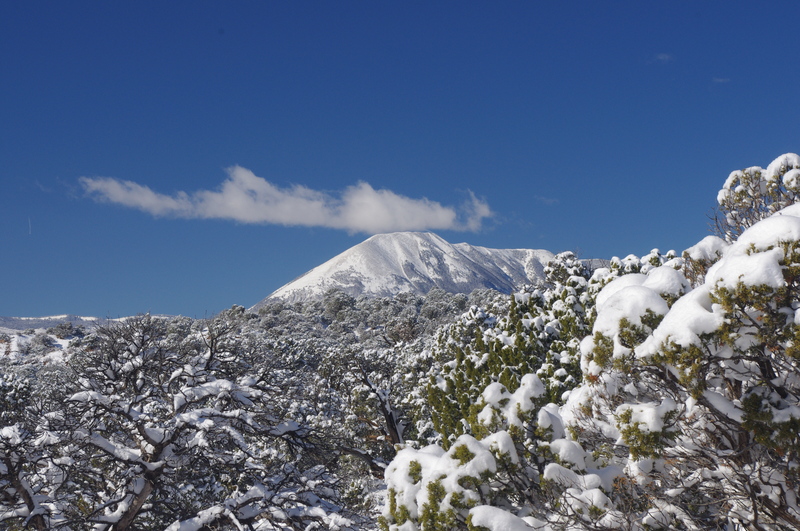 Isn’t it amazing how the snow flocks on the Pinon-Juniper woodland outside our new windows? 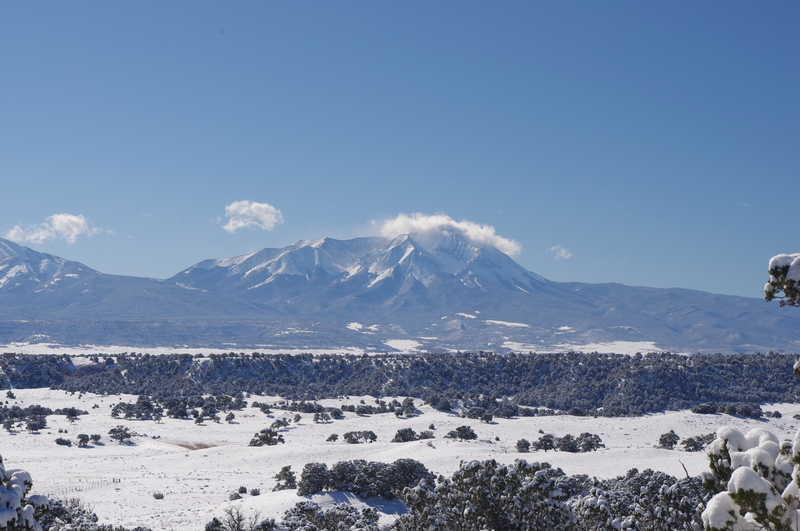 … And of course, the Spanish Peaks were looking lovely in their snowy white trim! Not to be outdone, our brand new garage door was installed yesterday! We are now ready for the delivery of our kitchen cabinets and miscellaneous other things this week. 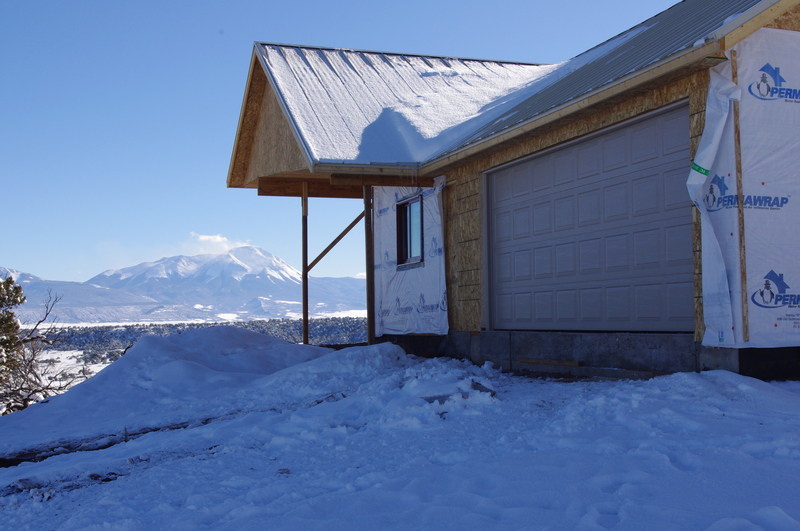 Some have asked me, how do you build a home in the winter in Colorado? You just work around the weather and pray for the occasional 70 degree day! ← Our Valentine’s present this year: a new steel roof!